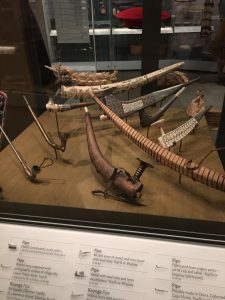 These are Siberian-style pipes, which were made in Alaska but based on Asian designs. The description beneath the display suggests that the practice of smoking tobacco may have been introduced to Yupik communities by Siberian Natives, which interested me because we very rarely think of Siberian Natives when we hear about Russia’s influence on Alaska. 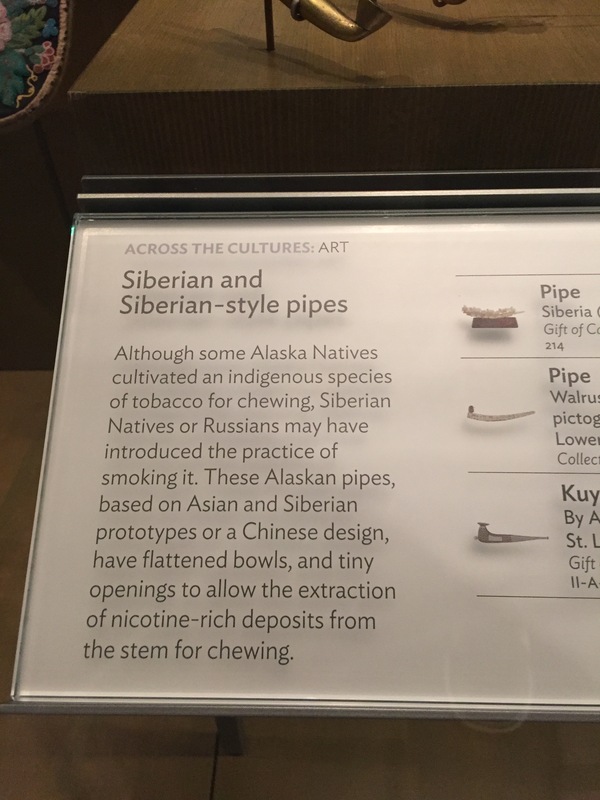 Seeing this reminded me that prior to Russia’s conquest of Alaska, trade did sometimes occur between Siberian and Alaskan Natives across the Bering Strait. Really enjoyed this museum visit. 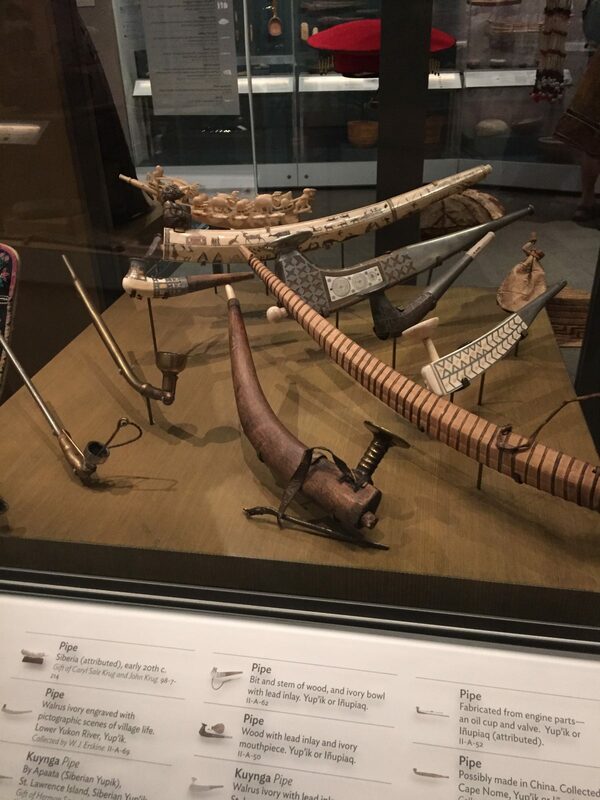 I was able to take my time reading and examining each display. I’m looking forward to visiting again.